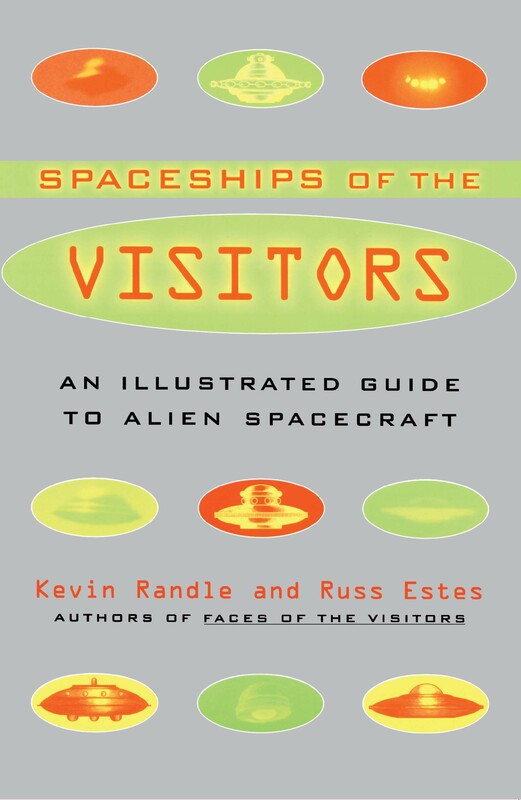 Spaceships of the Visitors is a fascinating and essential reference for anyone curious about alien visitation. For thousands of years people have been looking into the sky and seeing things they simply did not understand. They labeled them as best they could, calling them flaming swords, fiery chariots, twirling shields, and, eventually, flying saucers. They offered descriptions of these bizarre objects that seem, even today, to defy explanation. These early accounts suggest something that is beyond the commonplace and the mundane, something that is extraordinary, a phenomenon that began appearing before there was a written language to record observations of it. In today's world, there have been hundreds of thousands, if not millions, of reports of flying saucers, cigar-shaped craft, glowing spheres, and bright nighttime lights. These reports differ from their older counterparts only in number. We are still confused about what the reports represent and what they may mean. We describe them in the best language available and use the best of the electronic, optical, and unaided observations as we can. And even with all our sophisticated monitoring, sensing, and detection equipment, we are sometimes as confused about what we've seen as our ancestors were. That is not to say that we haven't been able to learn something about the phenomenon. We have collected hundreds of thousands of reports, as well as thousands of photographs, of those strange things in the sky. We have an advantage because we can record precisely what was seen. Photographs have allowed us to show our fellows what was in the sky that confused, frightened, astounded, and astonished us. We have been able to use motion pictures to show the movement of these strange things. And when all else failed, we used illustrations and drawings that represented clearly what we saw. These methods have provided us with a record that allows research to be conducted. To compile this work, we used, literally, hundreds of different sources, ranging from the original reports of the witnesses to the books and magazines that have appeared in the last fifty years. We used the records compiled for Project Blue Book, the official U.S. Air Force investigation. We were also able to use the records originally compiled by the now-defunct civilian inquiries, including those by the National Investigations Committee on Aerial Phenomena (NICAP) and the Aerial Phenomena Research Organization (APRO). It has been suggested, however, that our view of what the alien spacecraft look like, though once heavily influenced by ancient myths and legends, is now influenced by movies and books. Close Encounters of the Third Kind, the spectacular movie that presented an image of alien visitors coming down to Earth, is supposed to have been responsible for our modern view of what alien visitors look like today. Others have suggested that flying saucers owe their existence to a misuse of the descriptive term by a newspaper reporter. Businessman Kenneth Arnold described the "crescent-shaped" object he had seen as moving with a motion like that of "saucers skipping across the pond." Within days, there were hundreds of sightings of "flying saucers" rather than the crescents seen by Arnold. Without an illustration to accompany the story, people assumed that the flying saucers were disc-shaped. Of course, as we look at the sighting reports made prior to Arnold's, we note that many did have a disc shape. But we also notice that other shapes seemed to dominate in some eras. The Great Airship stories were not of flying saucers, but of huge, cigar-shaped objects that resembled the airships built on Earth in the years to follow. The Scandinavian ghosts rockets of 1946 were nearly all shaped like the V-2s that had caused so much fear and destruction at the close of the Second World War. It wasn't until 1947 that these objects began to be reported with any regularity as saucers. However, it must be noted that beginning in the late 1980s, UFOs were being reported as triangular-shaped. What we see in the survey of the literature, then, is a diversity in the descriptions of alien craft. Although media influence can be seen in some accounts, it also seems that media influences, at least concerning the shape of the craft, have often been ignored. Even when thousands were reporting flying saucers, there were those reporting other, often intriguing shapes. While there is little doubt that the media have influenced the descriptions of alien spaceships, there is also little doubt that many individuals are reporting some craft that were at variance with those media-driven descriptions. We should note here that we are not suggesting that all the stories are science fiction and based on media accounts, or, on the other hand, that all of them are true. These tales are what the witnesses themselves have reported to the air force or the civilian UFO organizations. Those witnesses may have been influenced by what they have seen in the pop culture world around them. They may have been influenced by television and movies and the reports of others. Or, they may not have been influenced by anything other than their own imaginations or by what they saw during their encounters. We have gathered what we consider to be a representative sample of the visitor-spaceship reports....We have also attempted to tell the story of each encounter in sufficient detail to enable the reader to make an intelligent decision about the validity of the report. And if that is not enough, we have tried to provide a variety of sources where additional information or contrary views can be found. We have also devised a rating system: We have assigned a "reliability" value to each of the case studies. The rating scale ranges from zero, which means no reliability, to ten, which means that there was actual proof that an alien ship was seen. It might be useful to note the way that we did assign some of the numbers. There are some truly incredible cases that we rated fairly high. The reason for doing so is the number of witnesses involved in those specific events. A case in which a dozen people report the same thing, and corroborate the tale told by the others, demands that we give it a higher reliability rating because of the large witness count. On the other hand, there are some cases that are almost universally accepted as reliable that we gave low numbers. Again, it is because of the lack of good corroboration in the form of additional, independent witnesses. The number and the credibility of the witnesses must be taken into account. But it should be noted that the reliability rating reflects our subjective opinion. We are aware that we tend to believe some of the unbelievable stories over other unbelievable stories. It is a factor that comes from our long work in the field and just how wild some of the tales have become. What we have here is an encyclopedia of the alien spaceships seen around the world. It is a compilation of the testimonies of hundreds of sources. It is an attempt to inform you about the diversity of the phenomenon and the numbers that have been reported. So here are the alien craft that have been reported to have visited us in the past. Here are the stories of their visits, based on the testimony of the people who witnessed them. Here is the best analysis we can make of those tales so that you will have a feel for what may just be true and accurate and what is a hoax or a misdirection. And finally, here are the sources of those tales so that you can check them for yourself.